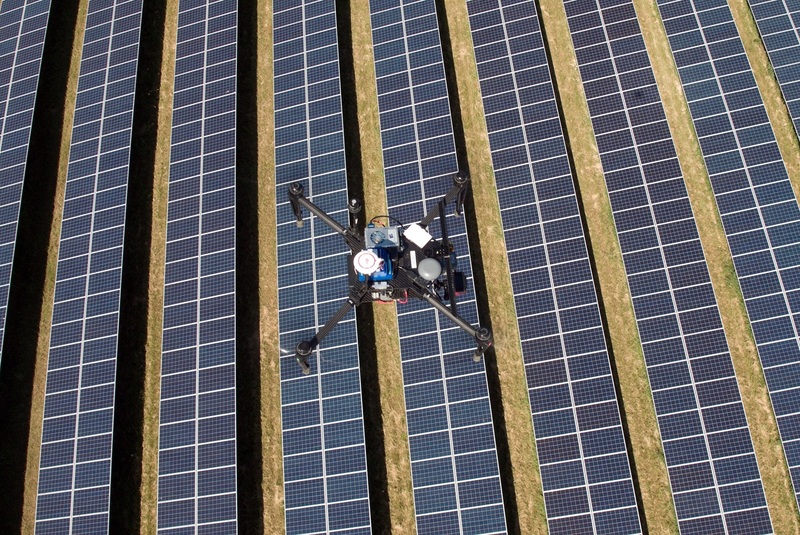 The company, which specialises in aerial inspections using drones, intends to use the partnership to automate elements of the process, reducing the number of human interventions needed when piloting drones and processing captured imagery. A computer vision researcher is to be recruited and based at Above Surveying on a full-time basis, collaborating closely with the university’s academic team which will manage the project. The deal with the University of Essex is hoped to expand Above’s international reach and Will Hitchcock, the firm’s managing director, said there was a pressing need to identify and report on a wide variety of issues affecting utility-scale solar farms. “Our offering has had a fantastic reception across the industry because of its innovative nature and the fact that it combines the latest technology with sound market knowledge to deliver a high-performing, end-to-end product. “We owe it to our clients to keep pushing the boundaries of technology to maintain a cutting-edge service which will enable the solar sector to maximise efficiency and to lower the cost of utility scale solar – vital in a highly competitive energy market,” he said. Above Surveying recently relocated to the university’s Knowledge Gateway Research and Technology Park at its Colchester campus, and intends to recruit as many as 10 new members of staff to cater for a rise in demand.